This restaurant was directly opposite where I was staying, and it was always busy so it was time to check it out. This sounded interesting, and to be honest I didnt know what to expect. A Romanian friend told me I had to try this, if I ever saw it on a menu so today I did. On arrival first thing to hit me was wow this is a massive portion, but I would have known that if I looked closer at the menu. I seperated the jelly part from the meat and started with that, this for me was a little to slimy for me so I stopped and focused on the meat. This was a very filling meal, but I did have to keep adding salt…would I order this again….probably not but it was nice. 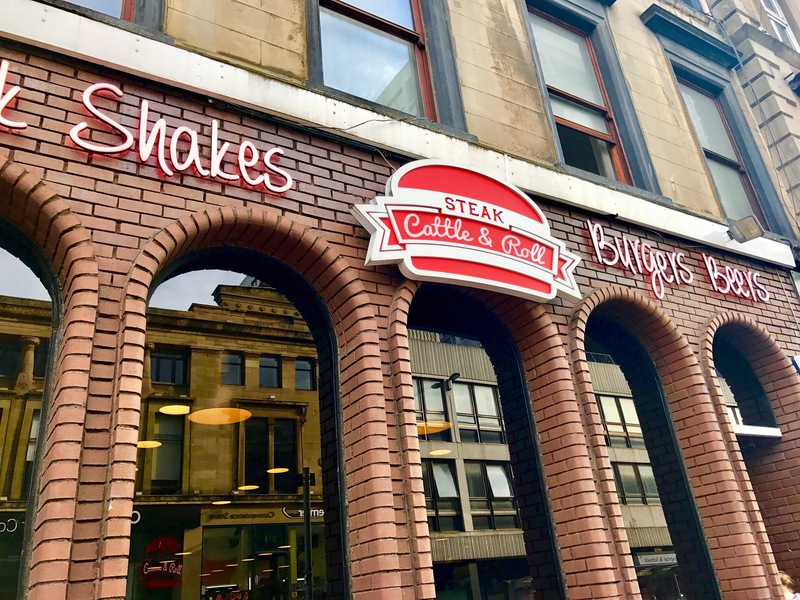 I had seen that Steak Cattle & Roll were opening, and followed them on all social platforms as I wanted to see what food they had to offer. When I started seeing all the posts of food milkshakes etc I knew I needed to visit. After a while I still hadn’t visited, but I had a few chats with them on Twitter and promised I would visit…..I like to keep my promises so today I visited. 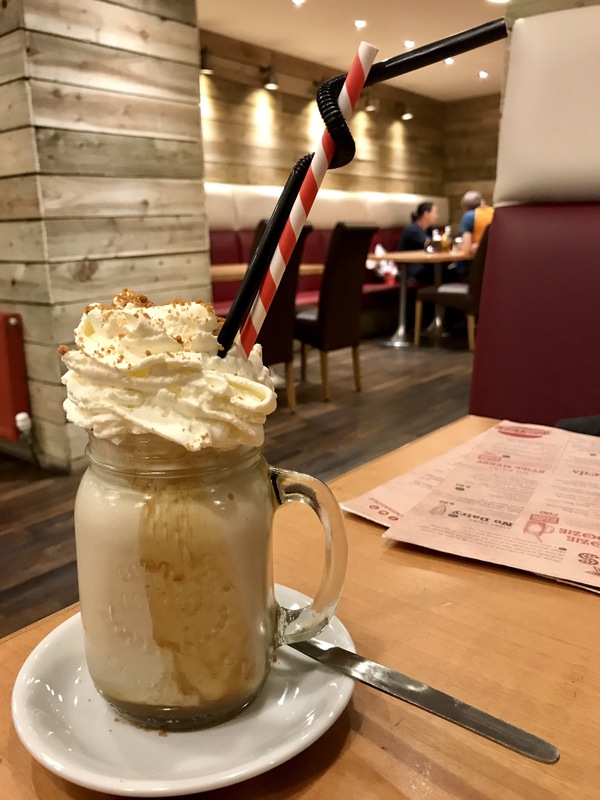 Prior to this visit I had a look at the menu, and liked a few things but Steak Cattle & Roll suggested for my first visit to start with a burger….so I did. Part of me today would have liked to have tried the big challenge burger, but I have been trying to loose weight and tone up since January and that would put me right back to where I started. Looking at the menu there were many things I would like to try, but today I decided I would try 2 dishes and a milkshake. I love Biscoffi biscuits, so when I saw this I HAD to try this and see how it compared. OH MY GOD!!!! this was amazing, if I didn’t have the other dishes coming I could have had at least 4 of these. I asked the waiter how cheesy these were and he replied very cheesy, so I had to give them a shot. On arrival my first thought “thick chips” I do like them, but skinny chips all the way for me. 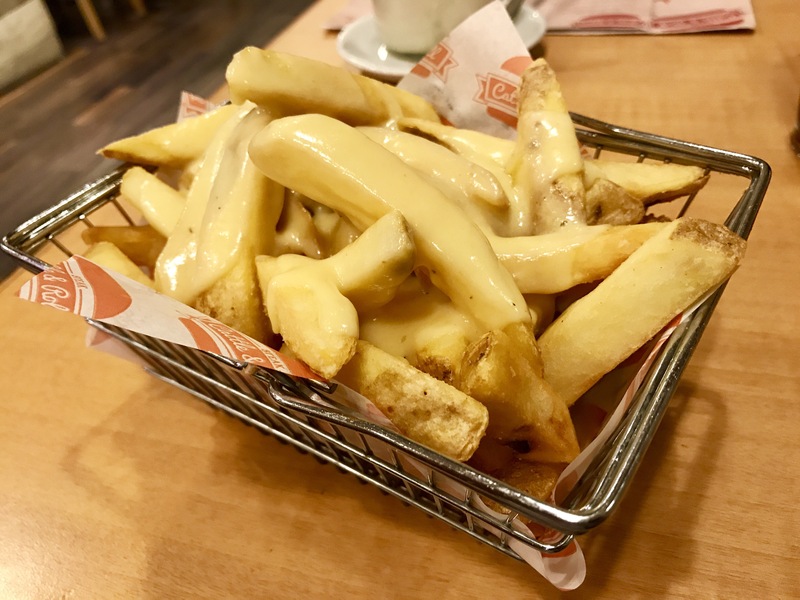 I tried a chip and the cheese sauce was the same sauce used on Macaroni Cheese, this is an ok cheese to use on chips but there are better cheese sauces. For me this was ok, would I have it again probably not I would try something else. This was the burger that stood out for me, as the nachos and description sounded good. Normally I like to use both hands and bite into my burgers, but this one was to big for my mouth so I had to resort to a knife and fork. This was a very nice and very tasty burger, but wow it was filling for me. Overall my first visit was a very filling visit, and I enjoyed what I ordered even if I didnt manage to finish the chips. Maybe one day I will attempt a food challenge here. I would like to go back and try the massive hot dog, or something else and a few more milkshakes so keep watching my posts.